Sorry, snowy locales—we&apos;re spending our winter enjoying outdoor festivals. Get the details below on all the art events and exhibits coming this season, both in the sunshine and in museums. Mill Avenue transforms into a festival street lined with 400 artist booths, roaming entertainers and musical experiences throughout the weekend. In addition to fine work from artisans, the festival also features a special zone for local businesses in "Sixth + Mill Makers," including unconventional gifts and handmade crafts from upcycled woodworks to floral arrangements. 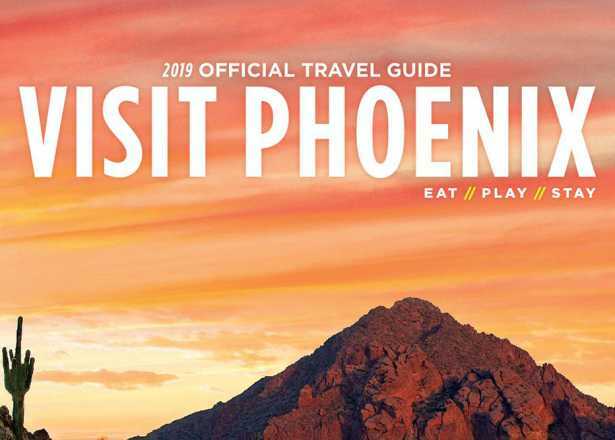 Local artists, musicians and performers converge in the park to offer patrons a weekend of shopping, entertainment, food and family at the annual Phoenix Festival of the Arts. Browse more than 150 vendors for some art to take home, and leave your mark on the hands-on Phoenix Mural Project collaborative painting piece. How about browsing with a bit of history? You&apos;ll find authentic fine art and collectibles from American Indian artists along the Pueblo Grande Museum&apos;s historic interpretive trail, offering guests a look at ancient Hohokam structures and a chance to participate in activities. Don&apos;t miss the dance performances and Indian fry bread. This major traveling exhibition is organized by the de Young Museum in San Francisco in collaboration with the National Institute of Anthropology and History of Mexico. With more than 250 outstanding objects from the National Museum of Anthropology in Mexico City the exhibit will provide a comprehensive insight into the art, everyday life, and religion of Teotihuacan, and its influence on other regions of Mexico. Check out local and national artwork for sale at Mesa Art Center&apos;s annual festival. In addition to shopping, attendees can catch musical acts on two stages, and watch live artist demos in glassblowing, metals and ceramics. The Heard Museum will feature original artwork by Henri Matisse, Yup’ik masks, cultural objects, photographs, film, and ephemera, and will explore the shared creative impulses that transcend time and culture by examining the unexpected connection between the Great Master and the people of the Arctic. Sneak a peak at the creative processes of more than 100 fine artists from the country and Canada over a 10 week celebration. Everything takes place in 40,000 square feet of studio space, open for guests to interact with the artists as they work alongside each other. Love art? Love wine? Then you&apos;re in luck at Carefree&apos;s annual festival, where the work of 155 juried fine artisans pairs with an extensive collection of domestic and imported wines up for tasting. Shop watercolors, oils, sculptures, woodwork, jewelry, and more and enjoy six samples of wine plus a souvenir glass for $10. Scottsdale Museum of Contemporary Art welcomes a collaborative exhibition that envisions an alternative future. The exhibition features recent works by two of Mexico’s most prominent artists who happen to be partners in life. For the first time ever they work on an artistic collaboration in the form of protest posters, accompanied by individual works of sculpture, video, fashion and photography. Spend the night out at downtown&apos;s monthly, self-guided art walk through the Roosevelt Row Arts District and beyond. Art spaces, galleries and studios open their doors for exploration, cultural attractions such as Phoenix Art Museum and Heard Museum offer free admission and activities, and the streets become a lively scene for walkers seeking art, food, shopping and bars. Every third Saturday through June, Mesa Arts Center hosts an entirely free arts event for all ages, with themes from street art to carnival night to a European-style night market. You can always expect live music, live art demos, and food and adult drinks for purchase. The Musical Instrument Museum&apos;s newest exhibit shares the untold story of the invention of the electric guitar, an instrument that revolutionized music and popular culture forever. This exclusive exhibition showcases more than eighty of the rarest electric guitars and amplifiers in the world―from some of the first ever heard to those played by the most famous electric guitarists known today. 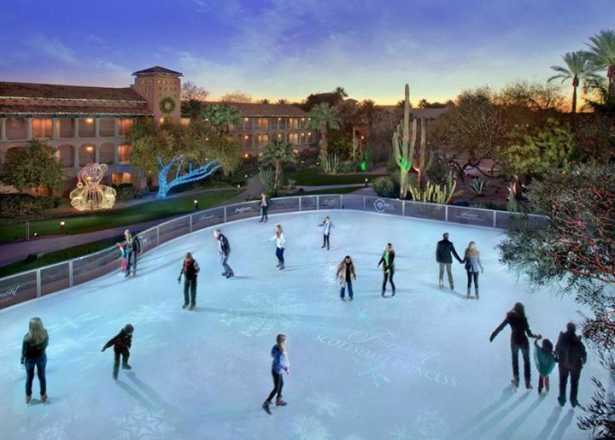 Celebrate the season with holiday events such as outdoor ice skating, twinkling light displays, performances and even snow in the desert. Request bulk orders of our Official Travel Guide and Meeting and Travel Planner Guide for your clients and guests.